Waymo’s trade secret lawsuit against Uber has so many twists and turns, it’s hard to keep up with it all. But there’s one key document that both sides of the case have been fighting over for a long time—the due diligence report Uber commissioned when it was considering the acquisition of Anthony Levandowski’s self-driving truck startup, Otto. If you’ve been following the case, you know the story: Levandowski mysteriously quit his job at Waymo in January 2016 (back when it was still part of Google) and went off to start Otto. Then, a few months later, Uber bought Otto, a fledgling startup that had just launched. Fast forward to this February, and Waymo accused Uber of orchestrating the entire thing to get its hands on thousands of confidential documents Levandowski downloaded before his departure. 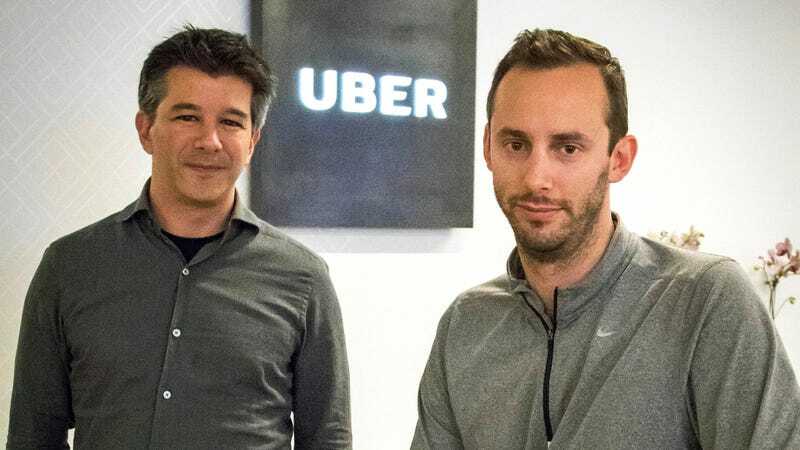 During the process of the acquisition, Uber hired the forensics firm Stroz Friedberg to look into Levandowski and Otto. Stroz made copies of Levandowski’s computers and phone, interviewed Otto employees, and compiled all that information into a due diligence report. Stroz collected 1.4 million documents and 176,000 source code files from Levandowski’s devices, Waymo says. The company also claims that Levandowski had thousands of photos of Waymo devices, schematics, and files on his phone. Waymo contends that report revealed the fact that Levandowski was sitting on a trove of its confidential documents, and that the report could be the smoking gun showing Uber knew Levandowski had the files and chose to acquire his company anyway. The Stroz report reveals that Levandowski admitted he had five discs of Google information. During his interview with Stroz, he claimed that he had the discs destroyed at a commercial shredding facility. Stroz investigators visited the facility but were unable to confirm that Levandowski did indeed destroy the discs. “Stroz Friedberg investigators showed the employees a picture of Levandowski, but no one recognized him,” the report states. A manager found a receipt from several days after Levandowski said he took the discs to the facility indicating “that five disks were destroyed and paid for in cash. The signature on the receipt was illegible,” the report continues. Investigators also found 50,000 work emails on Levandowski’s personal computer, and said that because he accessed some of the emails around the time of his departure from Google, it was “difficult to believe” that he could not remember having the emails as he claimed in his interview. But the report also notes that Levandowski instructed his coworkers to delete iMessages from him and that he searched for instructions on securely wiping files from his computer shortly before his interview with Stroz investigators. Levandowski even attempted to empty the trash folder on his computer during his Stroz interview, the report notes. Levandowski and other Otto employees also reportedly searched online for instructions on how to permanently delete files from their computers and discussed how to communicate securely. Lior Ron, one of the co-founders of Otto, suggested using Slack because “it’s secure and I know the CEO.” Ron also texted an unidentified individual to suggest establishing a shared Gmail account that they would each log into to exchange information. Overall, the report is a damning look at Levandowski’s digital footprints after his departure from Google. Levandowski has fought to keep the due diligence report out of Waymo’s hands. Last month, an appeals court ruled that Uber had to hand it over. Uber noted at the time that it didn’t join Levandowski in asking the appeals court to block Waymo from seeing the document. Given the recent revelation of the due diligence report and its accompanying forensic copies of Levandowski’s devices, Waymo is asking for the trial to be delayed. Proceedings were initially slated to begin next week, but Waymo proposed moving the trial to December and is now saying that even that delay might not give them enough time to review all of the Levandowski documents. So far, Waymo has only reviewed 285,000 of the 1.4 million documents it says were in Stroz’s database.